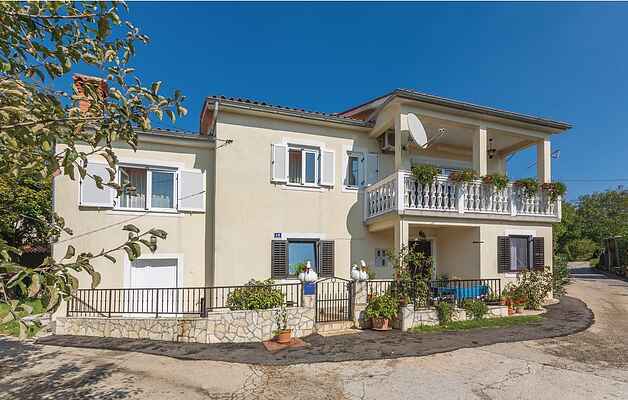 In peaceful and rural surroundings of the small village Klapčići, on the first floor of a family house is located this tastefully furnished holiday apartment. It consists of two bedrooms, a kitchen with living and dining area and a covered terrace. There is also a gazebo on the shared plot and your children can play on the swing and the trampoline. Inevitable destinations of the Istrian tourism are the popular holiday resort Rabac with beautiful white pebbly beaches and crystal blue sea water as well as the medieval town of Labin with rich cultural heritage.